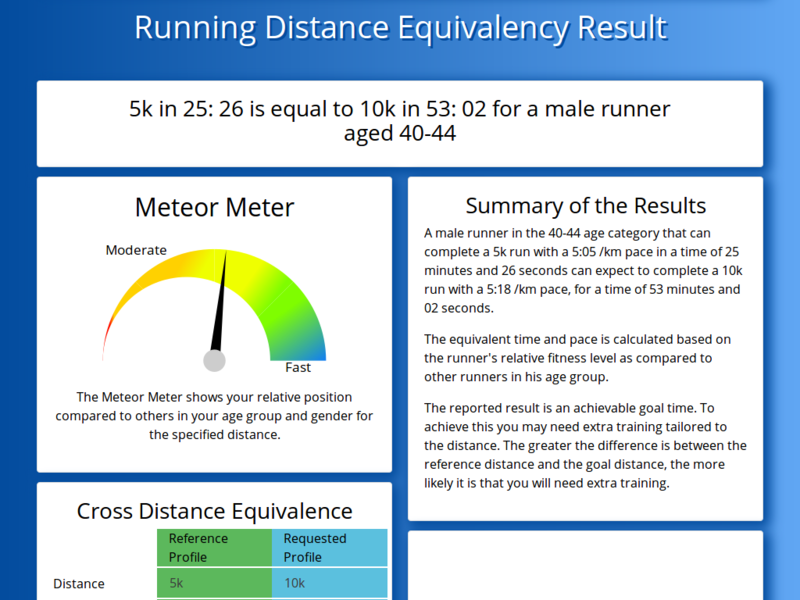 Meteor.run has compiled a full slate of metrics for many of the most popular running races and events in North-America, from 5k's, 10k's, Half Marathons all the way to Marathons. The data are used to rate the events and each metric is presented with its own interactive chart that lets the user dig into the information to find what is important to them. 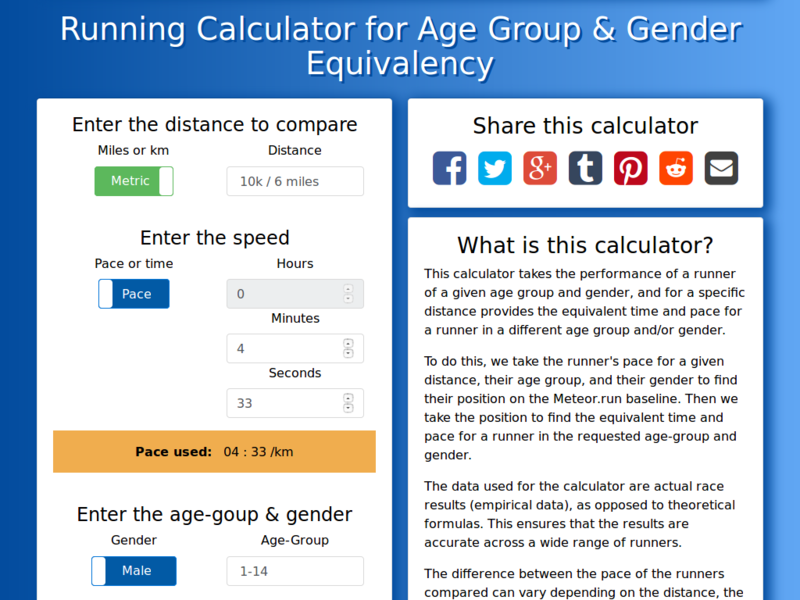 Use these ratings to find races or events that best suite your goals. Are you a beginner attempting your first 5k, or are you a highly competitive runner looking to set your next personal best? Click on the button below to find an event near you. Each event is rated using these seven metrics. Since we realize that statistics alone can't paint an accurate portrayal of an event, we allow you the runners to provide ratings for each of these metrics. 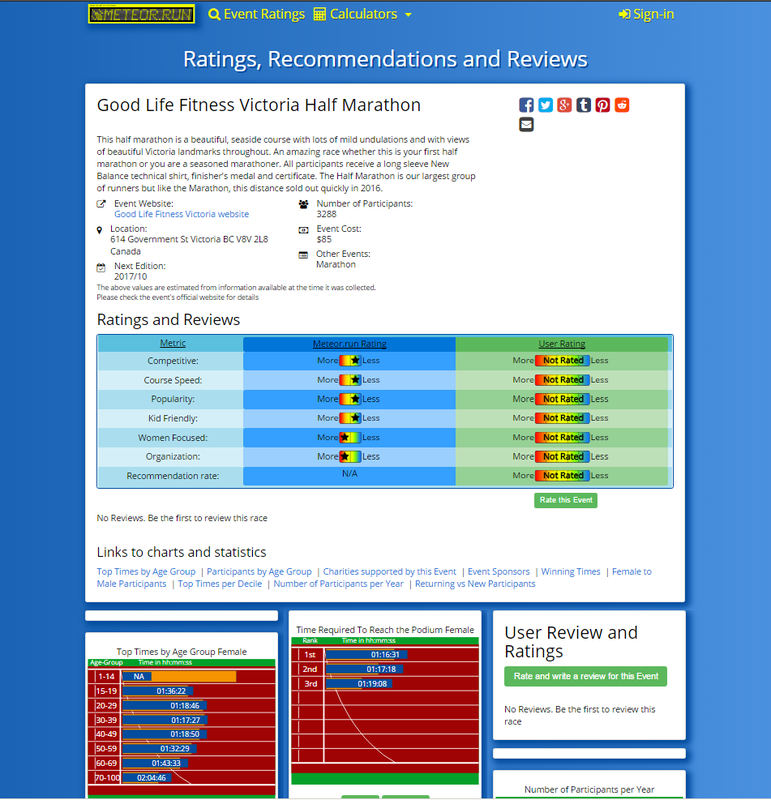 You can also leave a review of events you completed and read the review of other runners. Below are some upcoming events, click on the links to check the stats to get an idea of what to expect. Also listed are recently completed events. Did you participate in any of them? Click to see how they are rated and to let others know what you thought. 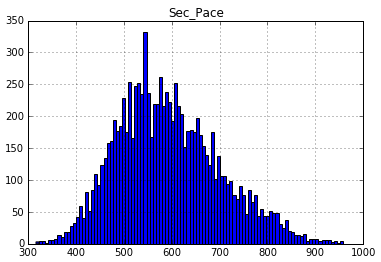 We have gathered actual race results from a wide variety of running events from 5k runs to marathons. 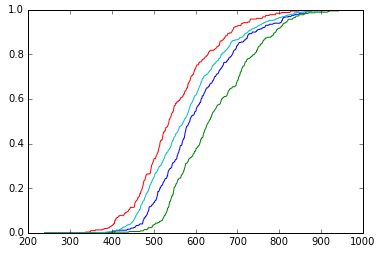 We have pooled all the data together and have created a baseline. We use this baseline as a frame of reference to compare individual performances while accounting for age, gender and distance.